Finoak wood flooring has a Licensed 5G Valinge glue less locking system, for extra joint strength. Is installed as a floating floor system, no glueing down, minimal screed preparation, quick installation turn around, very strong joint strength +/- 1000kgs/lin.m. Good dimensional stability due to cross lamination construction of the panels. Oak top-face is stable and does not have the propensity to want to change dimensionally – High Dimensional Stability. Close and narrow pores- limit the pick and discharge of the moisture hence less tendency for any dimensional movement. FSC certified and Environmentally friendly, uses only legally harvested species. 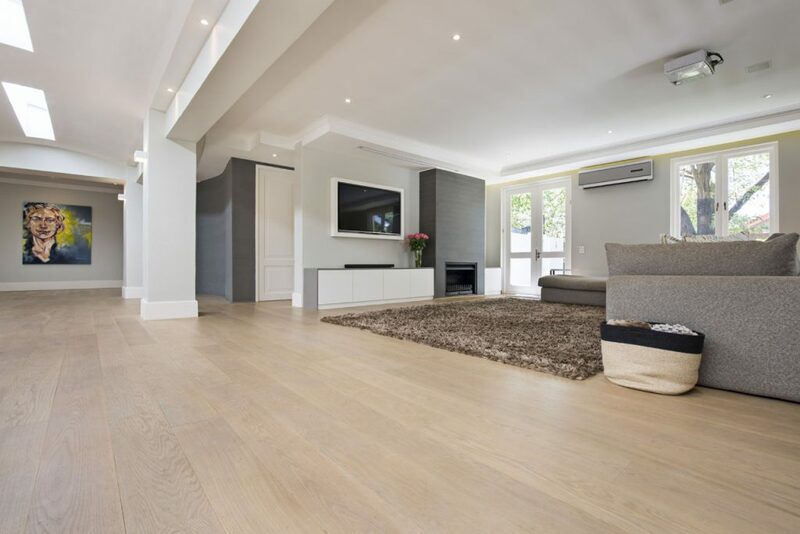 Greater yield of flooring as opposed to solid wood panels. Latest manufacturing procedures to ensure minimal material wastage, increased quality & constant development in the processes to increase quality standards. Just by the weight of one plank, the customer can feel it is a stable product. Our high core provides the necessary backbone to a long lasting floor. Our products come with a 25 year limited residential warranty against any technical and manufacturing defects. Our warranty covers any manufacturing defects including de-lamination, machining and top coat defects.